Independent developer Playchemy today announced that the strategy action game Space War Arena is coming exclusively to Nintendo Switch via the Nintendo eShop on February 14, 2019. With development led by Ed Annunziata, creator of Ecco the Dolphin on the Sega Genesis, Space War Arena is a brand-new strategy action game that blends exciting real-time space combat with tactical and strategic gameplay that delivers a fun and highly engaging gaming experience. 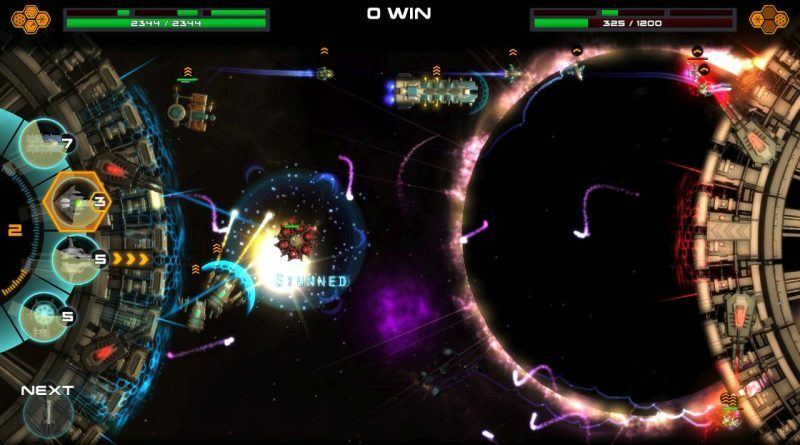 Enter a universe of exciting real-time space battles that are accessible, but deeply strategic. Think quickly and deploy the right units at the right time, manipulating their launch trajectories for added tactical depth. Mix and match over 30 types of units and experiment with different play styles as you progress and take your squadrons into battle. Deal out and deal with nimble fighters, sweeping lasers, drone factories and atomic warheads. Liberate the galaxy in pitched battle against AI masterminds. A solo campaign pits you against a variety of configurations and scenarios, charging would-be commanders to upgrade their fleets and become masters of all they behold.